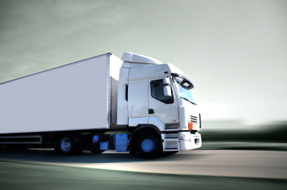 If you have a commercial drivers license then you must have a physical every two years unless you are being monitored for some medical problem such as high blood pressure or a heart problem. We do physicals fast and inexpensive. We don't believe that you need to wait days or weeks to get your physical. Come in today or call us to schedule your appointment, because our prices are the lowest in the Modesto region. Romo Chiropractic has dedicated itself to bringing the safest and most up-to-date professional approach to the DOT Medical Examination / DMV Physical in the Modesto Area. Vision Test - Corrected Vision at least 20/40 (Snellen), Uncorrected Vision at least 20/40 (Snellen), Binocular acuity at least 20/40 (Snellen), Horizontal Field of Vision at lease 70 degrees, and the abilty to recognize the color of traffic signals.